The Tanzania Football Federation has banned international defender Juma Said for two years for engaging in an "act of indecency". The Mbeya City captain was found guilty of poking a finger against the backside of Azam's John Bocco, when the two sides met on 27 September. Said, 31, was fined $930 and summoned by his team for a disciplinary hearing. The club has promised to release the results of its investigation before the end of the week. The sanction means Said is not able to play for his club or the Taifa Stars for two years. It is not the first time the player has been in trouble. 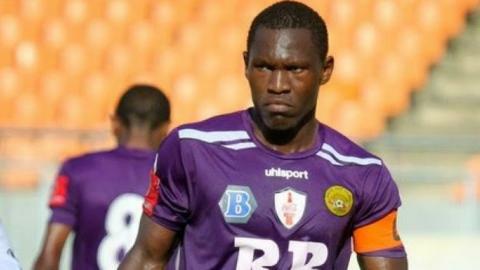 He was banned for eight games earlier this year after appearing to do the same thing to Simba striker Elias Maguli. Said later apologised for the assault on Maguli but is yet to comment on the latest incident. The act is similar to one at the Copa America earlier this year when Chile's Gonzalo Jara was given a three-match ban for an incident in which he appeared to poke his finger against Uruguay striker Edinson Cavani's backside. Cavani was sent off for his reaction to Jara's actions in the quarter-finals of the South American championship. A statement from Mbeya City says they have formed a disciplinary committee to review the events that led to the incident including viewing video footage of the match.